Fixer-Upper » A new closet – it doesn’t get any better than this! A new closet – it doesn’t get any better than this! Even though we have a giant house with far more space than two people should require, we still have storage issues. Well, maybe the issues are more mine than Teague’s. I don’t like seeing things thrown willy-nilly into a room, all ugly and piled up. I want everything hidden away in closets, tucked away in drawers, or filed under the bed where I can forget I even own such clutter. It’s been tough having only 3 small closets these past two years, but somehow we survived. Sure, I had reoccuring dreams in which I found a secret closet we had somehow overlooked, but I was learning to live with the situation. In fact, I later found out that those dreams supposedly have nothing to do with storage and everything to do with emotional growth. But then we started the bathroom remodel, and it dawned on me that this was the perfect time to finagle a closet out of the deal. 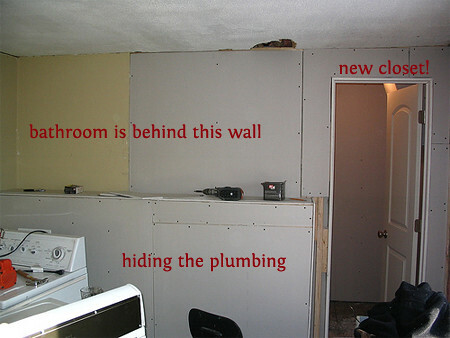 When we got rid of the tacky kitchen cuboards in the craft room (left over from when the house was a two-family) and bumped the bathroom wall out a few feet, we were left with an awkward bit of leftover space. Not awkward, actually, just PERFECT for a closet. It was destiny. We even have a door on the closet. 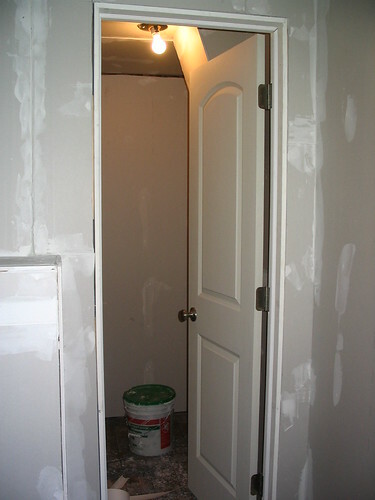 A cheap, somewhat crappy looking door – but a door nonetheless. It is just a closet, after all, in a craft/utility room. And we have to pick and choose our budget splurges. This ain’t one of them! Can I tell you how exciting it will be to shove a bunch of crap into this closet and never have to look at it again? 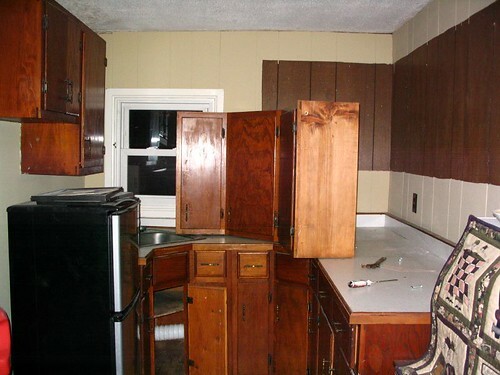 You might want to reverse the hinges on the door so it opens outward–you can get more crap in there that way! closets are a big deal!!! when we added on to our bedroom [was 10×13] now is l shaped 26×16. we also added 9′ on to the entire west side of house got the laundry room out of the garage and gave us a walk thru closet .one end bedroom and other end is laundry room . 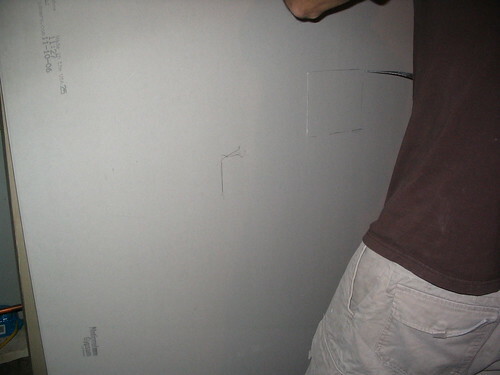 this was actually a battle i lost didnt want that extra door you lose 3′ of storage , now however its a good thing . I’m so excited about our future-closet. When we get the bathroom done, that will be the next project, and I couldn’t be more thrilled.